A sworn translation allows you to keep the legality of your documents in certain countries. 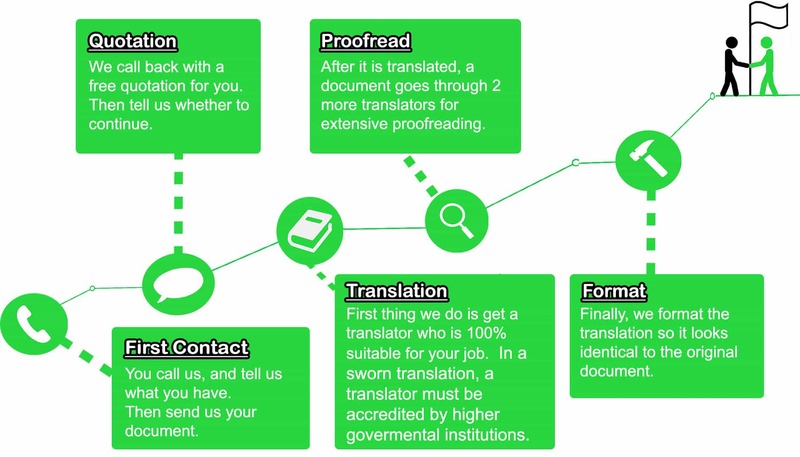 It is not necessarily a required type of an official translation in every country but may be obligatory for certain documents for example in Poland, France or The United States of America. Please note that within Ireland, this type of translation is unnecessary as a certified translation has the same accreditation. At TRANSLIT, we have numerous sworn translators in various languages at our disposal to provide the best possible service for you. Our sworn translators are accredited by higher governmental institutions. In other words, they have completed an academic higher education and his/her professional skills are evaluated every five years. Sworn translators affix their stamp on the document to authenticate their translation and give the document its official nature. It is mostly used for official procedures in governmental institutions such as court of justice, a visa or work permit request, or for diplomas. For this type of documents, certified translation may not be accepted as an official document in certain countries. A sworn translation allows the document to keep its original official tone even outside the borders of the country in which it was issued. As a company, we currently cooperate with almost 200 translators and interpreters from all over the world thereby assuring translation into over 70 languages at a native level. Did we get your attention? Please fill the contact form, and we will contact you at your convenience do discuss your project. No hidden fees, no obligations just a friendly call or email.